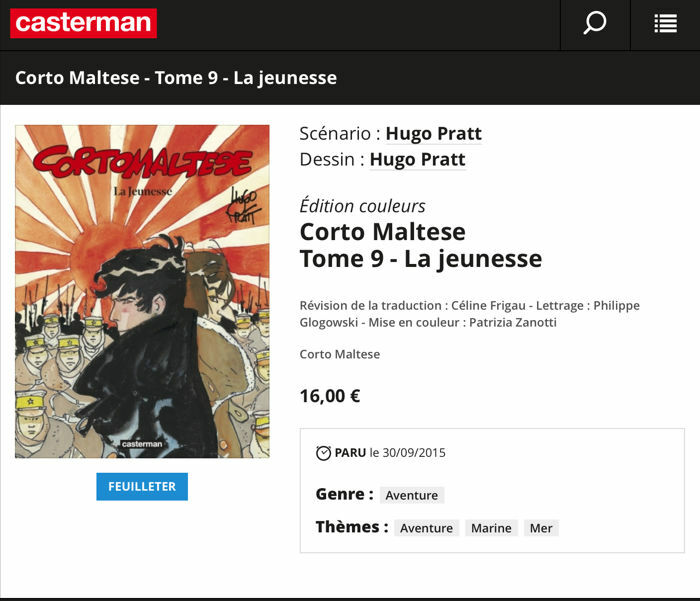 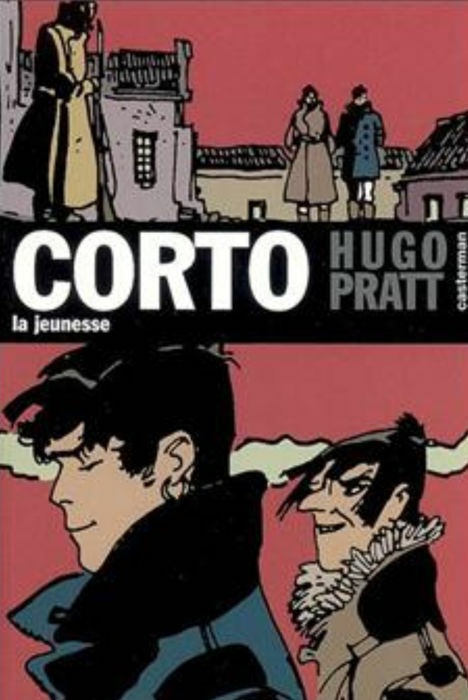 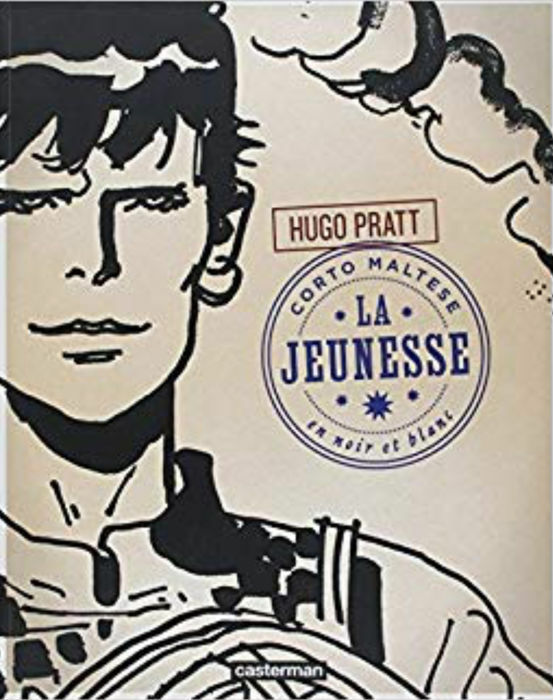 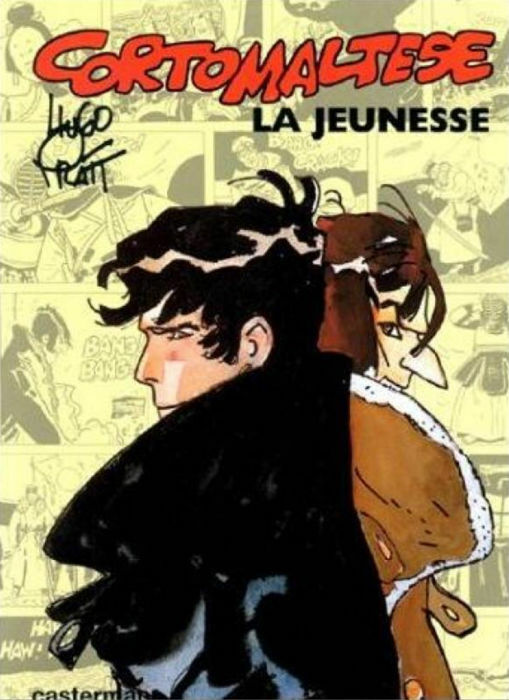 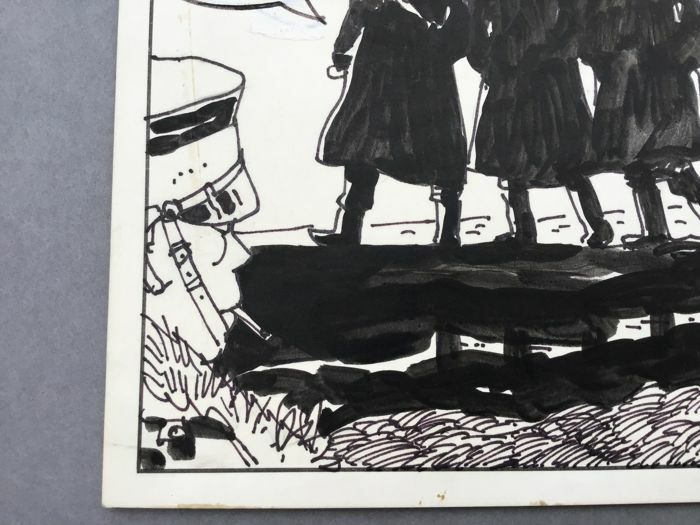 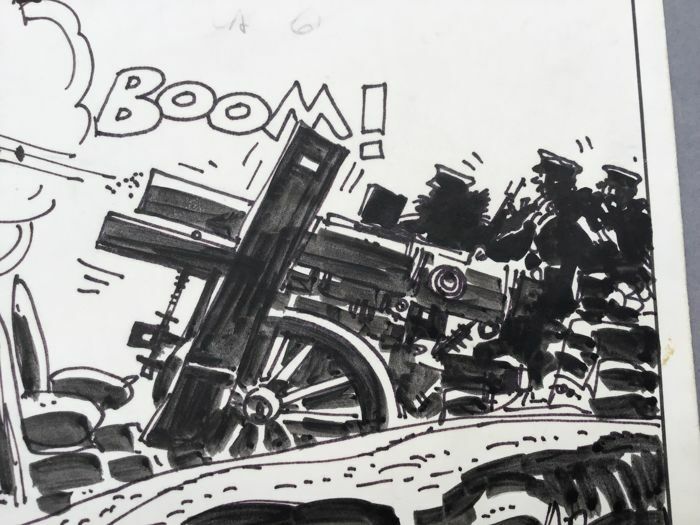 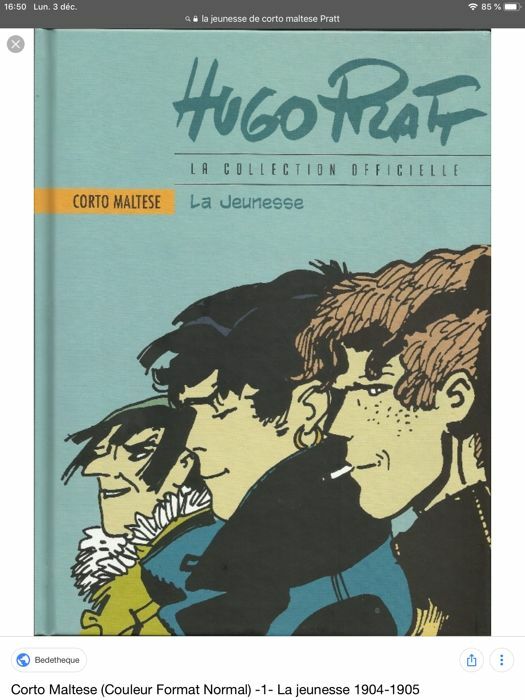 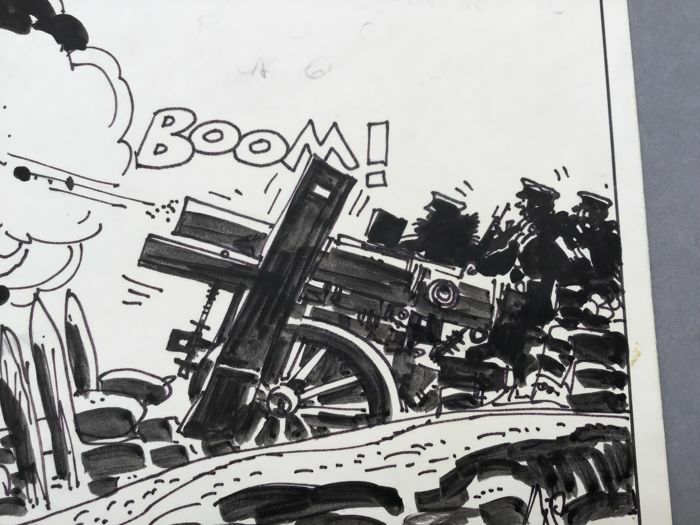 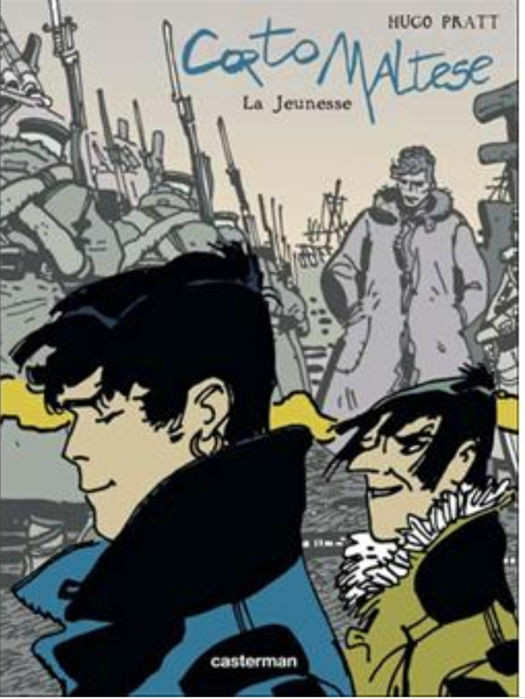 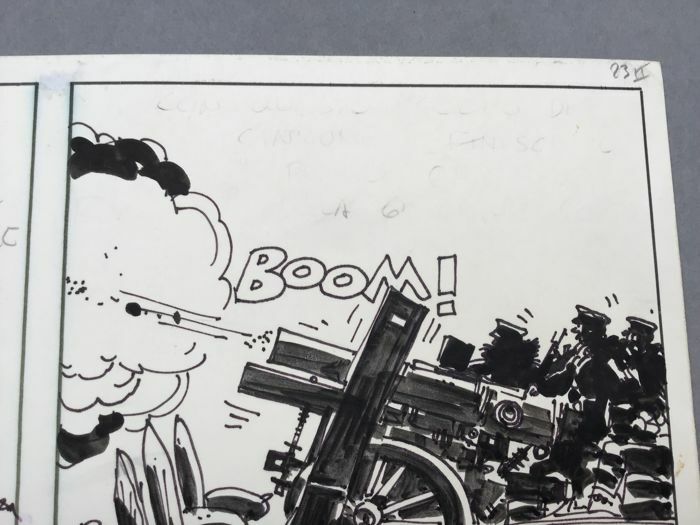 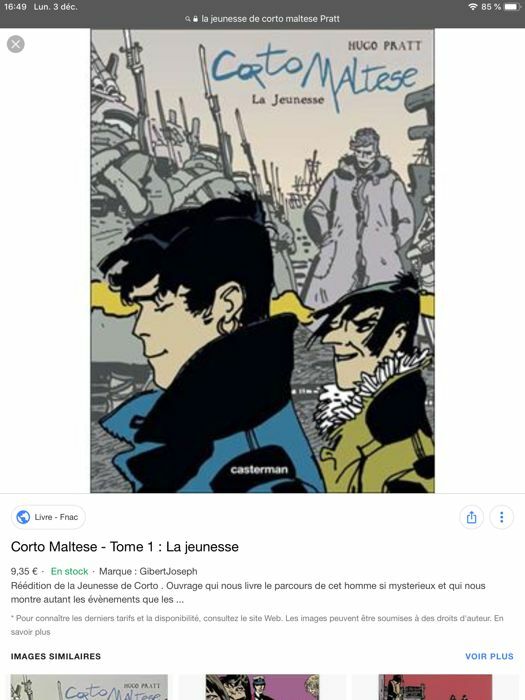 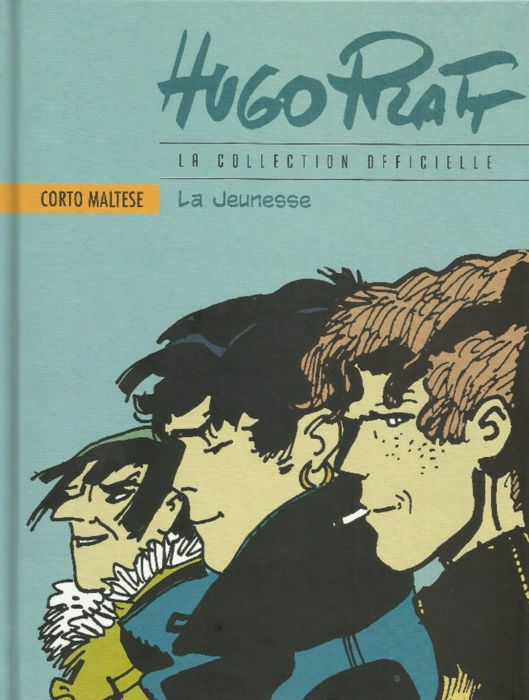 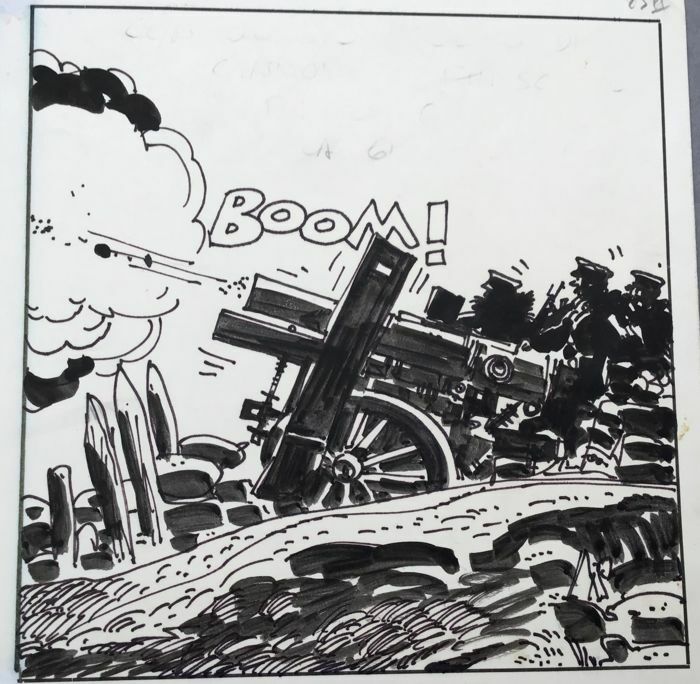 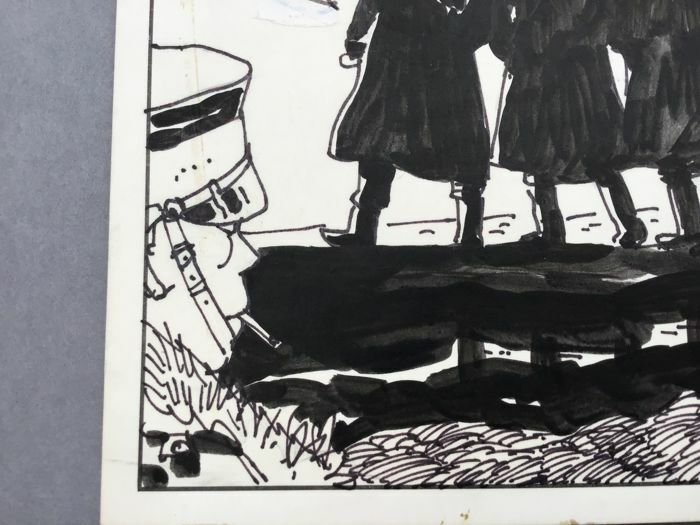 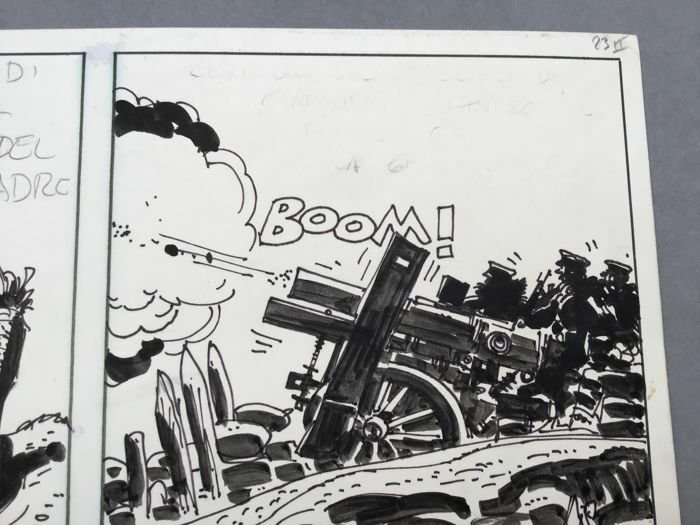 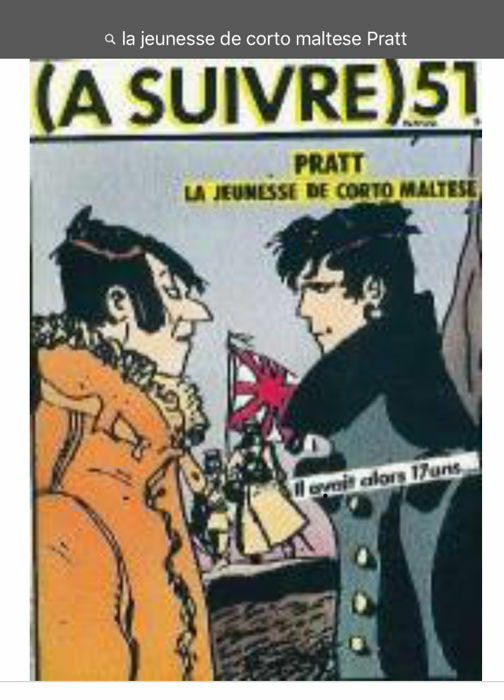 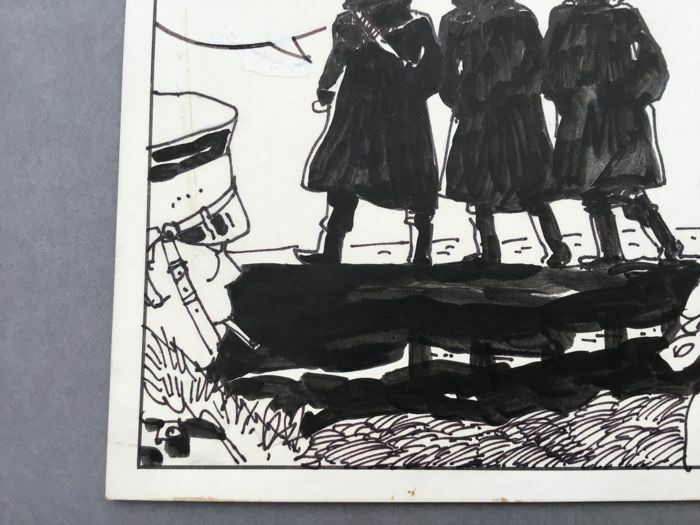 Without a doubt, all collectors of original drawings would be very proud to set up in their library a "Strip" or an "Original Plate" of this remarkable album designed by Hugo Pratt in 1981: « La Jeunesse de Corto Maltese ». 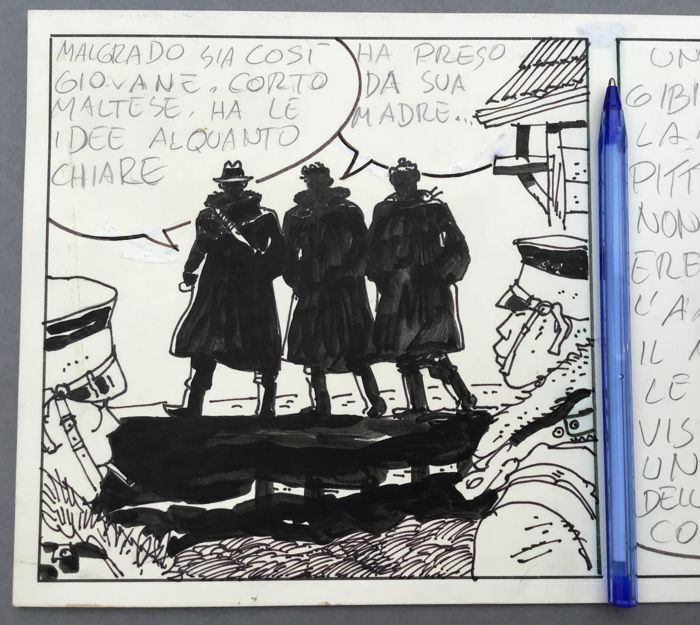 As the original drawings of this album are rare on the market, very few collectors saw that these Strips are quite large, 15 x 15 cm, and therefore more than 45 cm x15 cm for a whole strip, which makes the framing very spectacular. 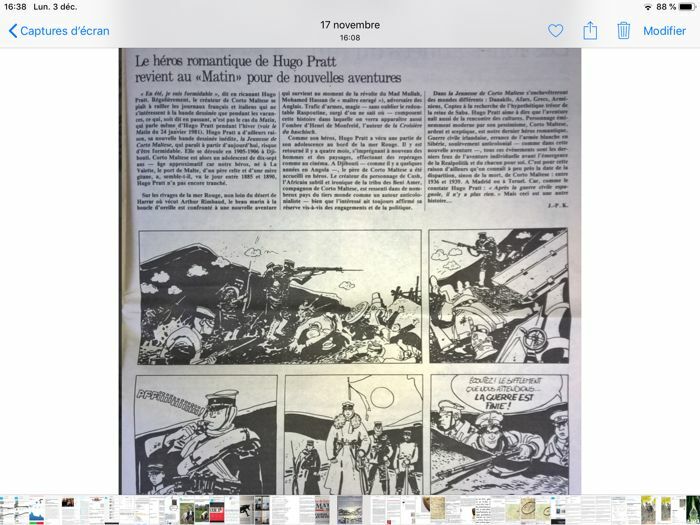 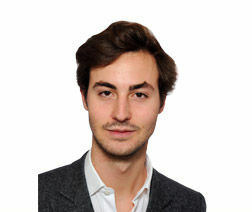 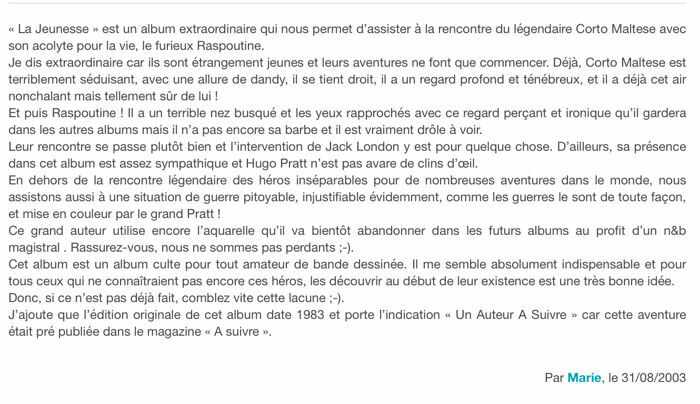 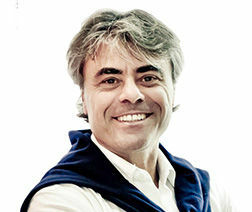 - Preprint by individual Strip in 1982 in Italy (magazine L’internauta: The Gionivezza) and in France (Le Matin de Paris) in 1981 and 1982 (A suivre, Casterman). 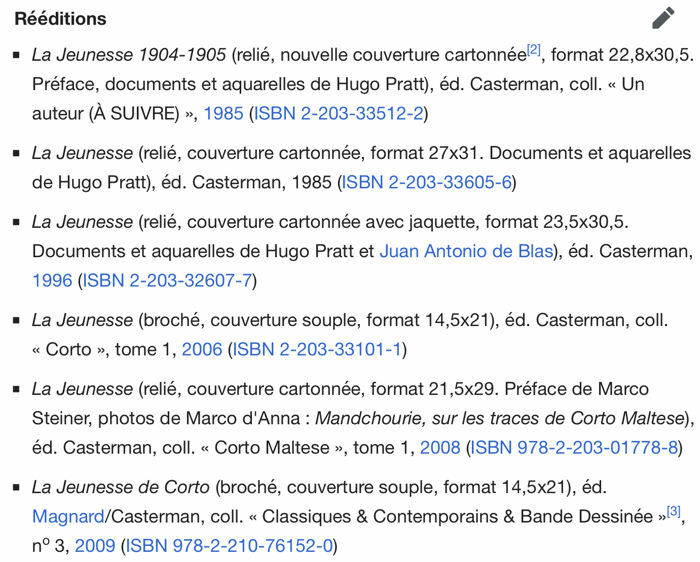 -many publications in albums and reissues, black and white + colour, including illustrations found on internet are presented as documentation in this lot. 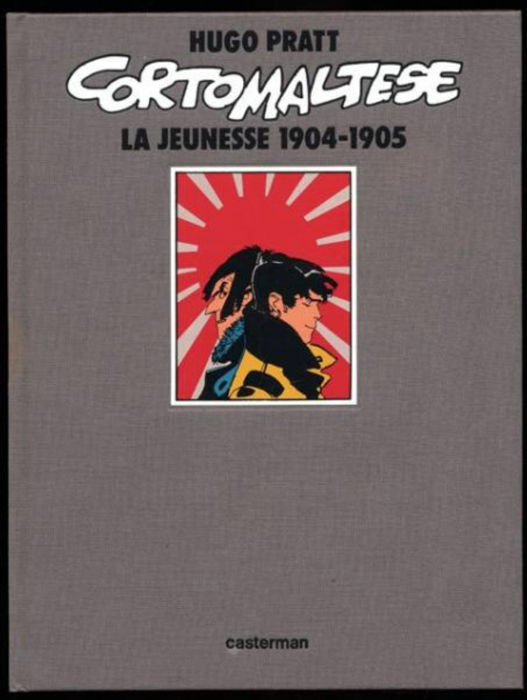 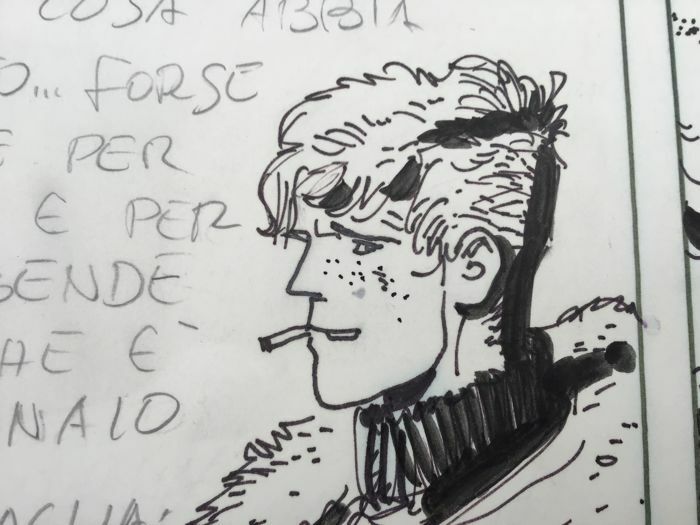 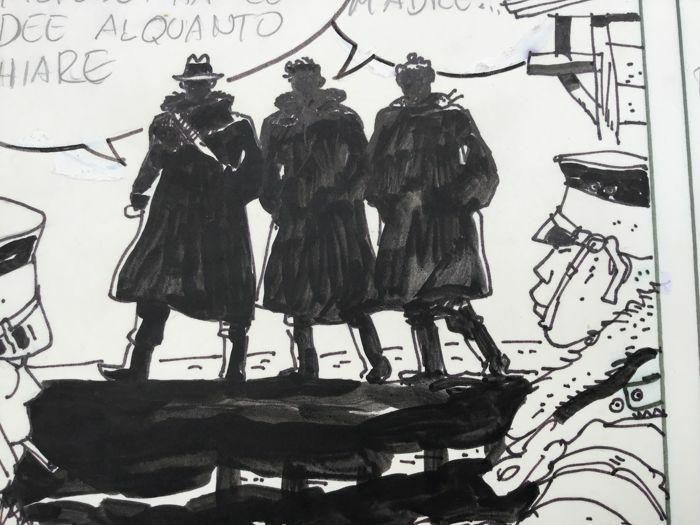 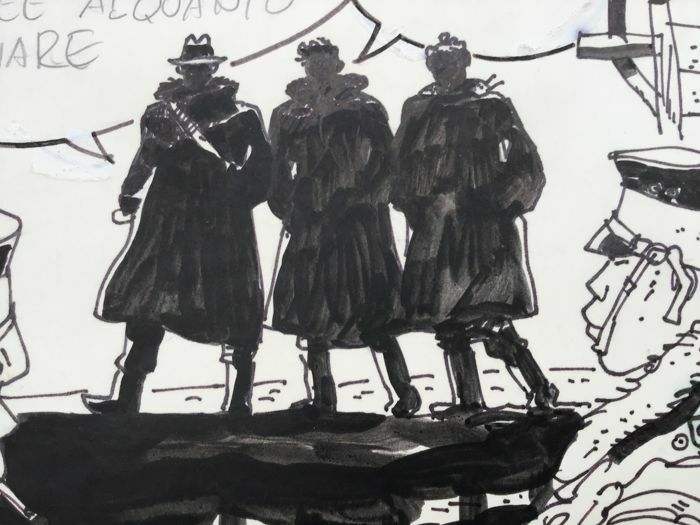 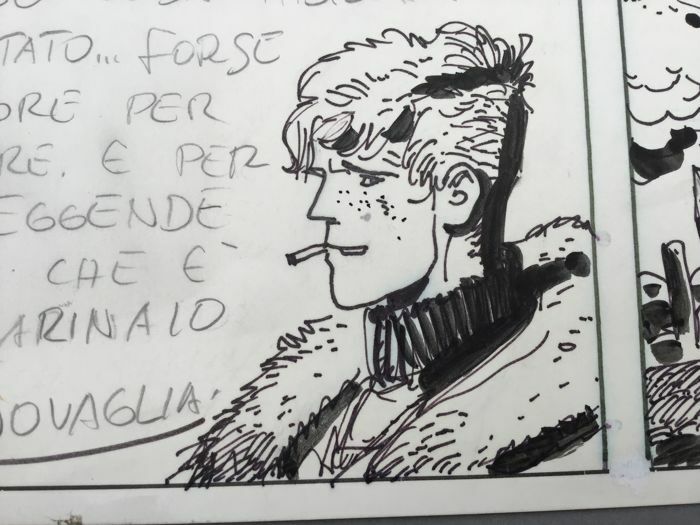 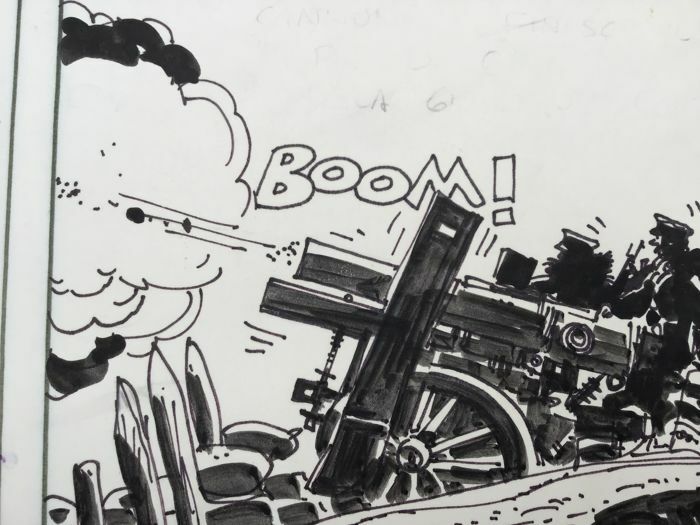 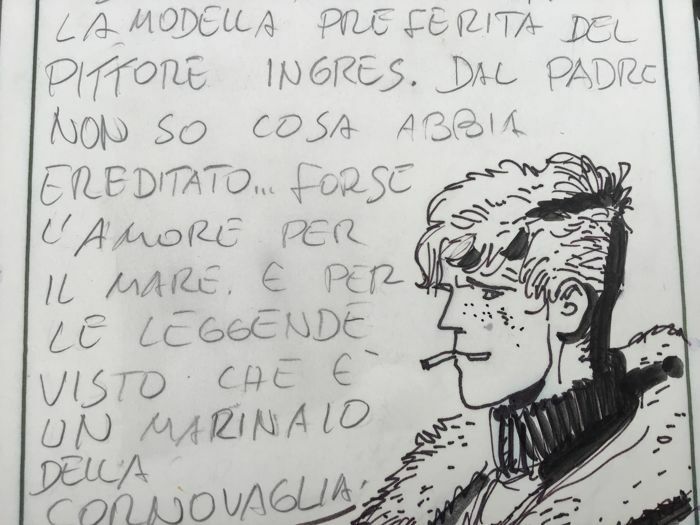 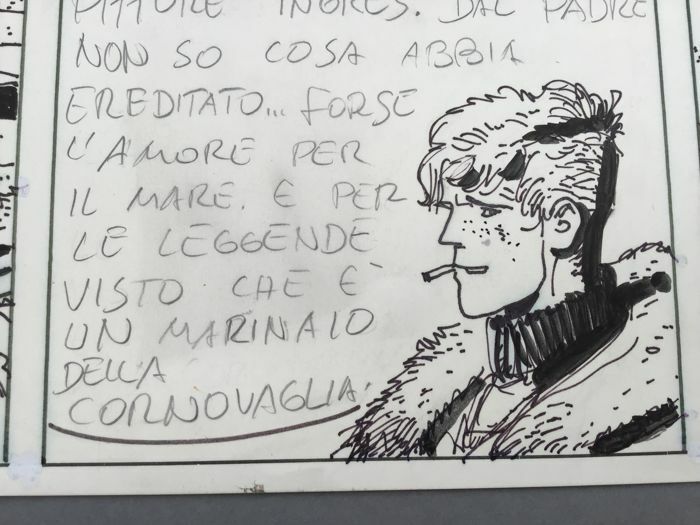 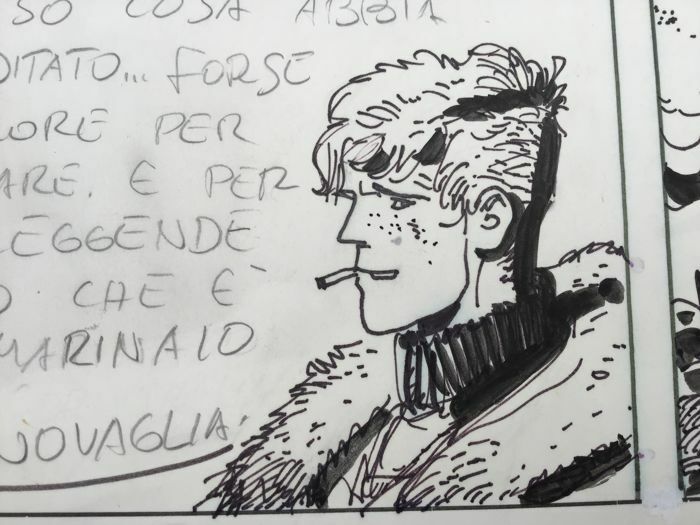 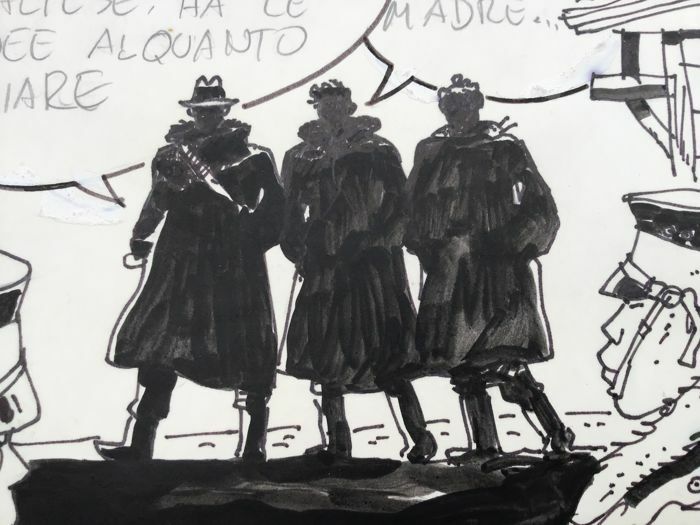 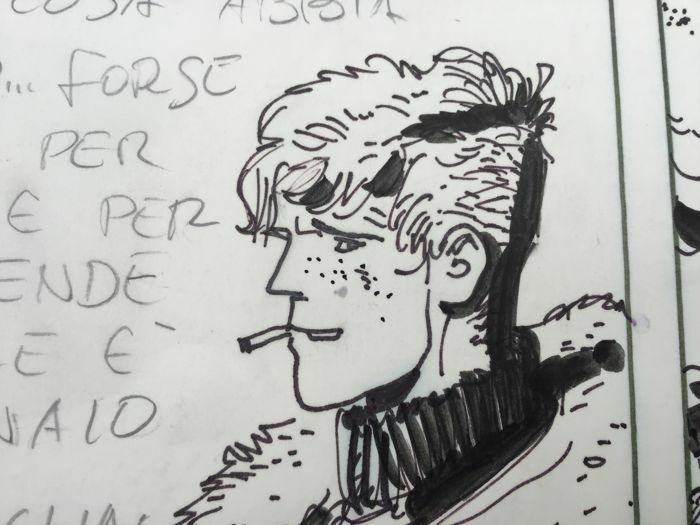 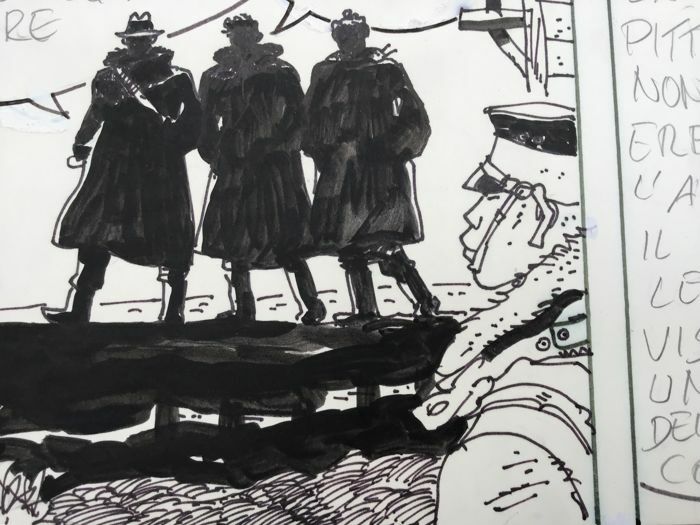 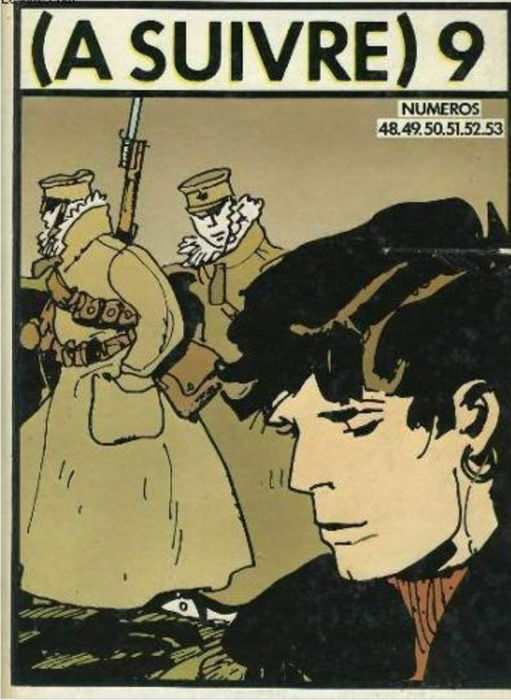 - exceptional encounter between Corto Maltese, Rasputin and Jack London to make a mythical trio in the history of the European comics, only in this Album. 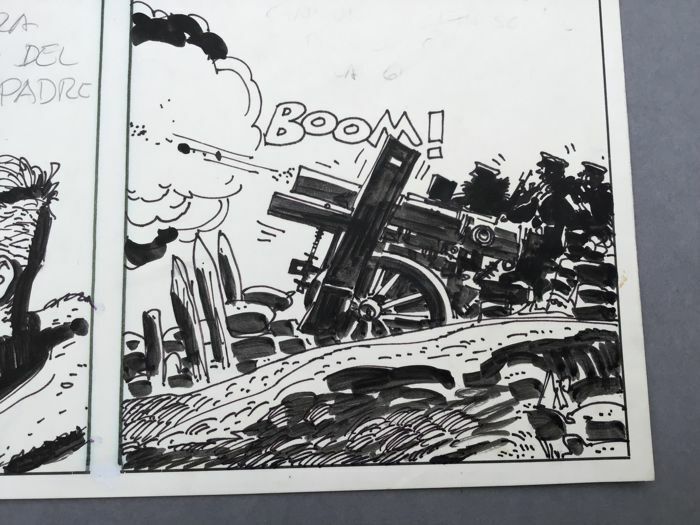 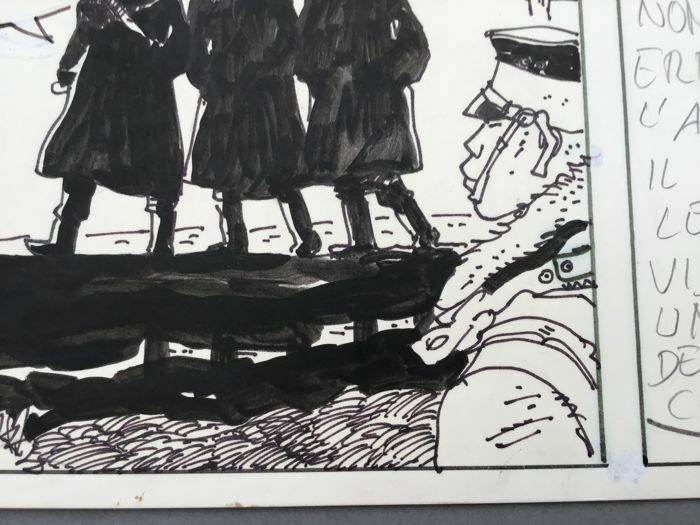 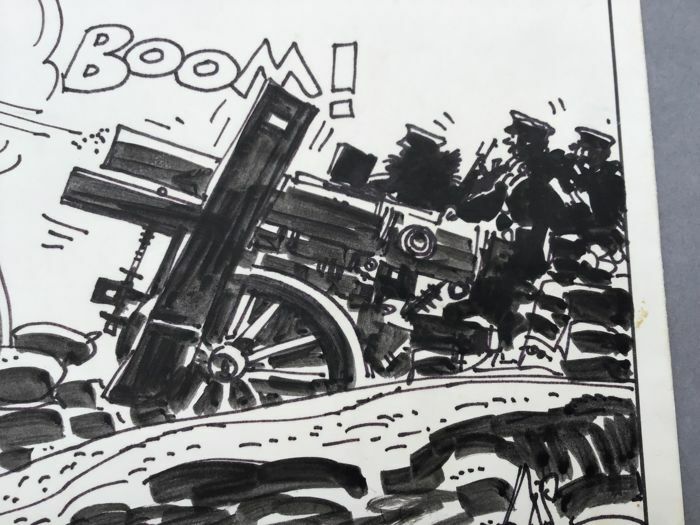 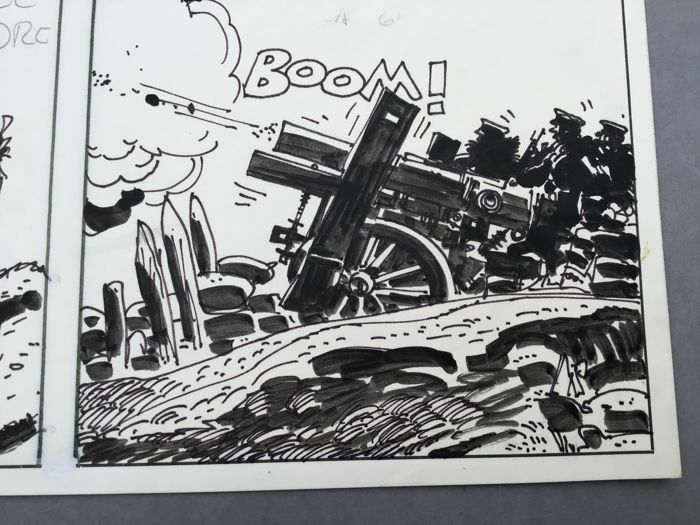 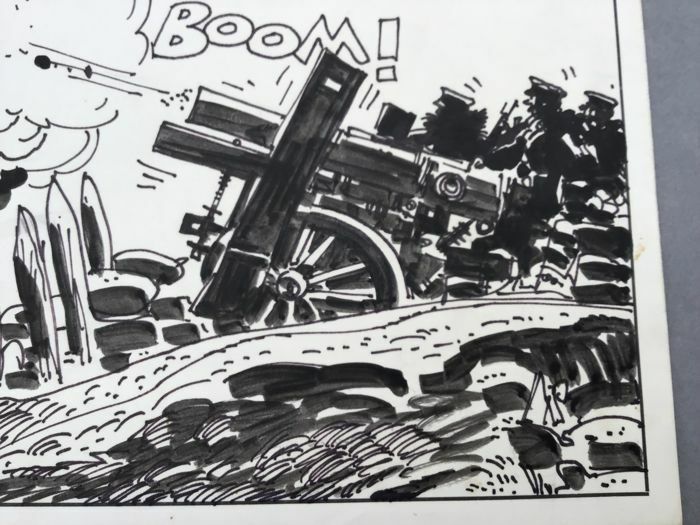 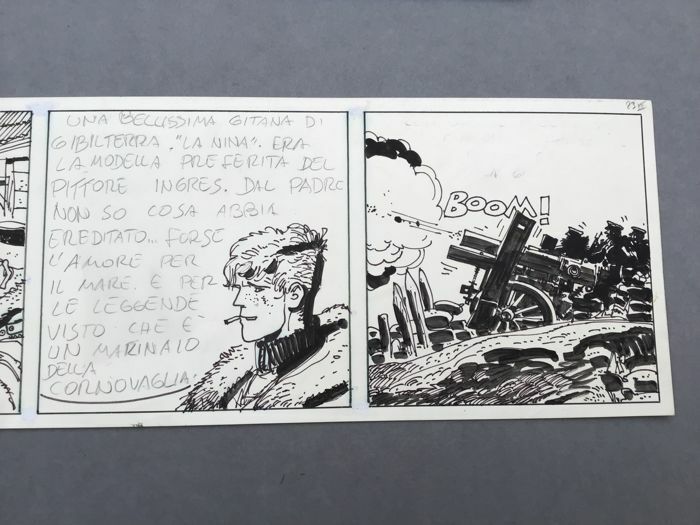 The other two boxes are also remarkable, which explains that this strip is both a unique juxtaposition of three iconic paintings of this adventure, and a whole graphically very coherent and well evocative of this famous first Russo-Japanese war of 1904-1905. 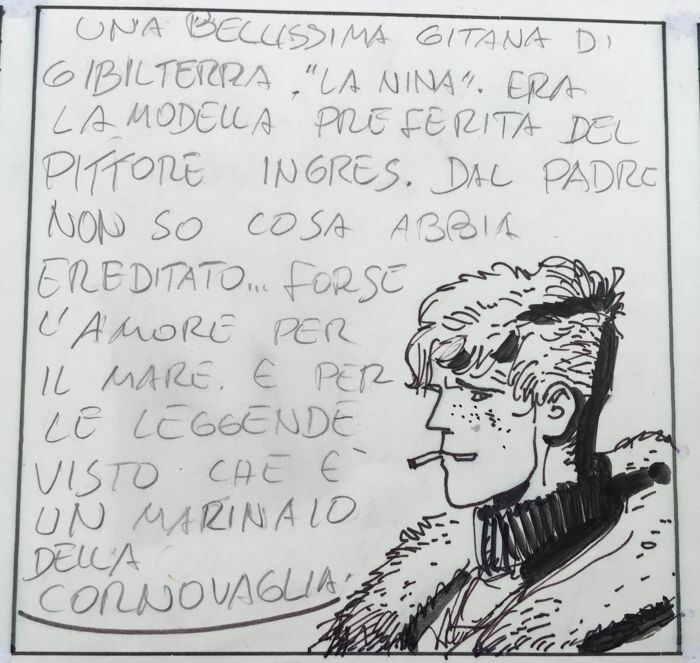 Corto Maltese is in Manchuria, and while writing this album, he made the acquaintance of Rasputin and Jack London, who commented in this strip the "Nina, lovely Gypsy of Gibraltar, modern favourite painter Ingres... » . 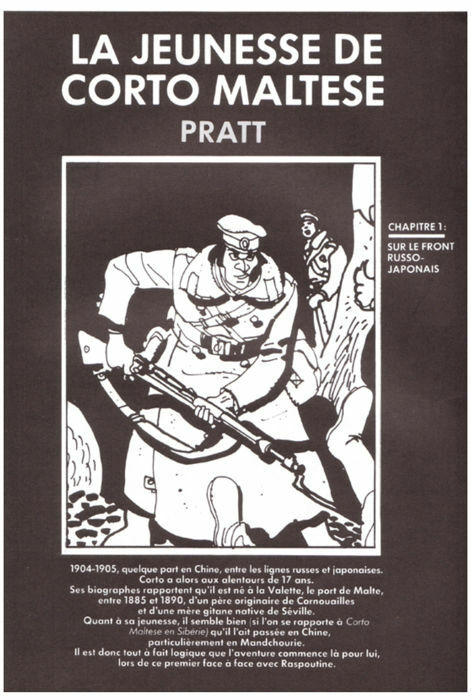 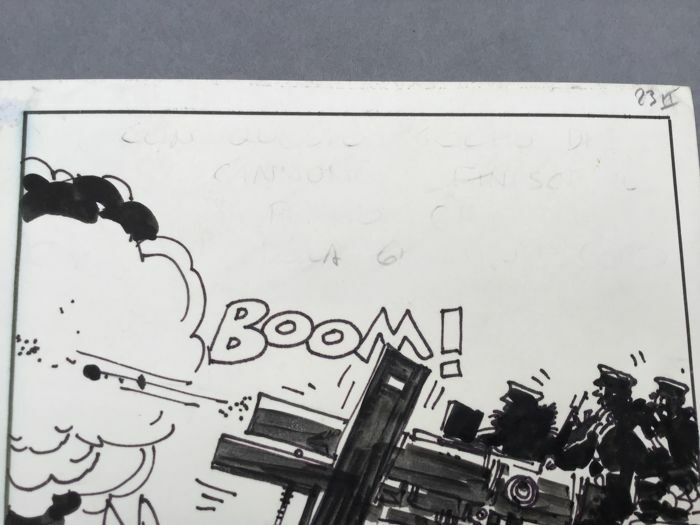 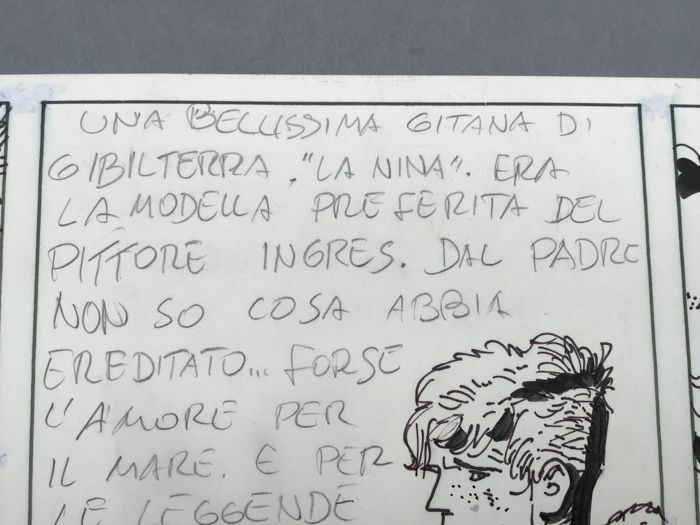 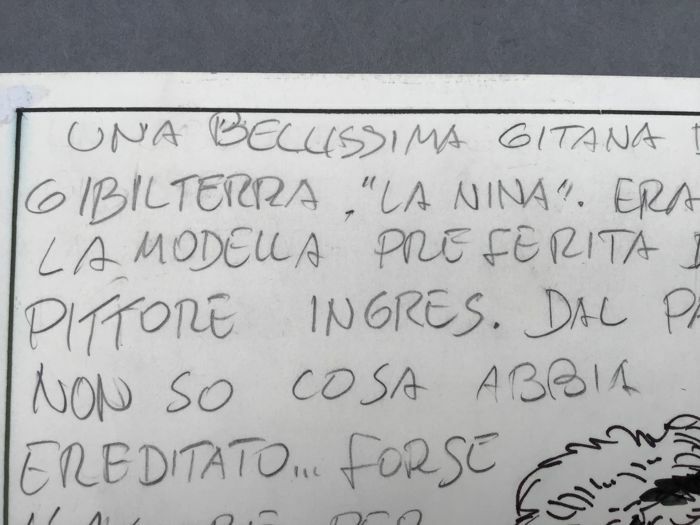 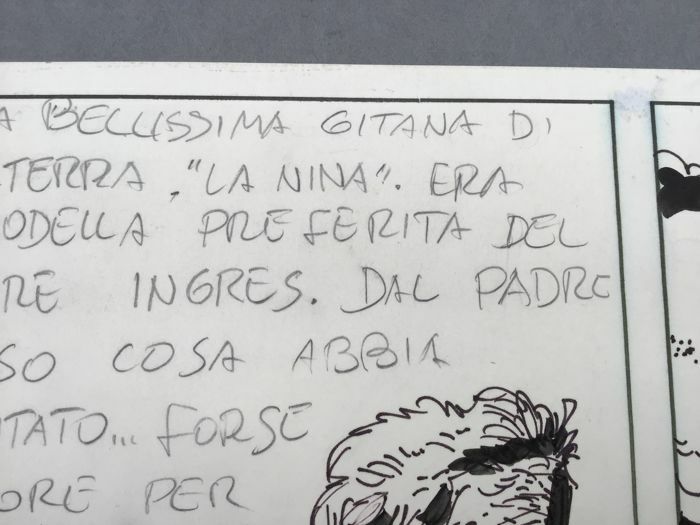 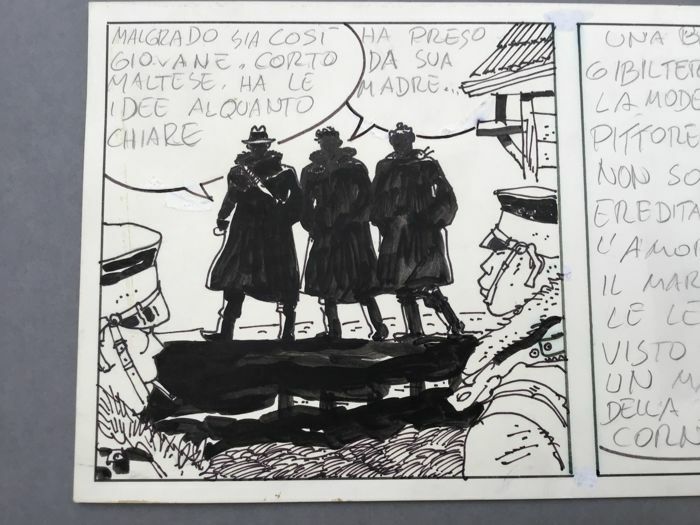 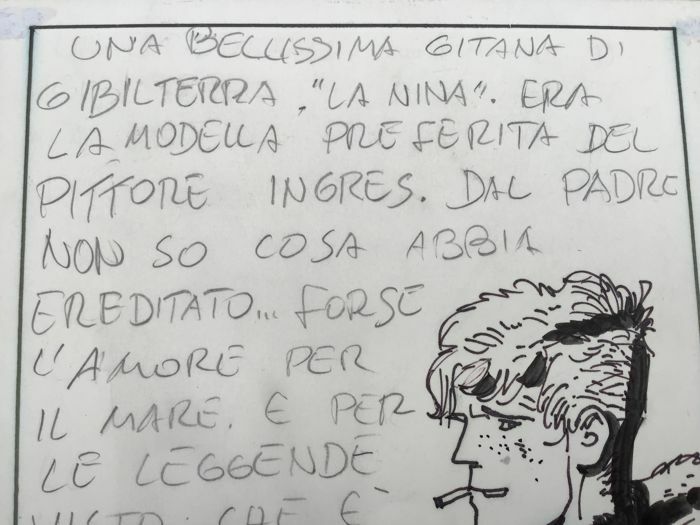 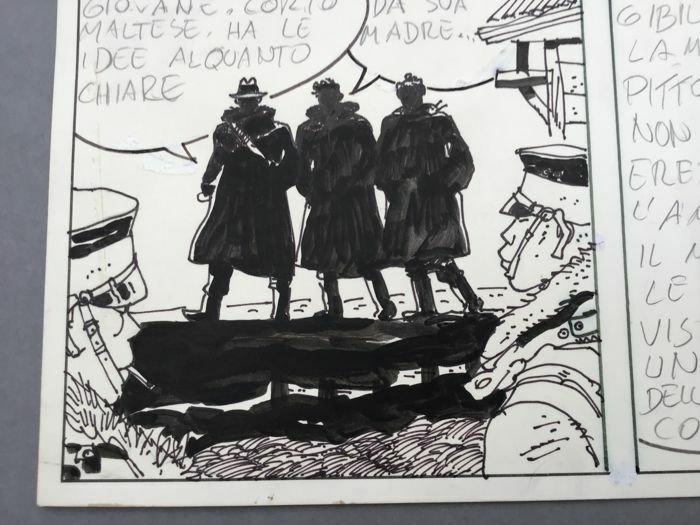 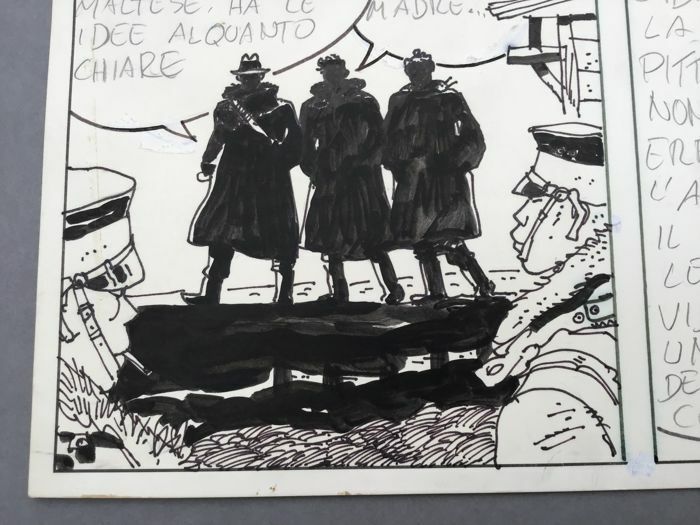 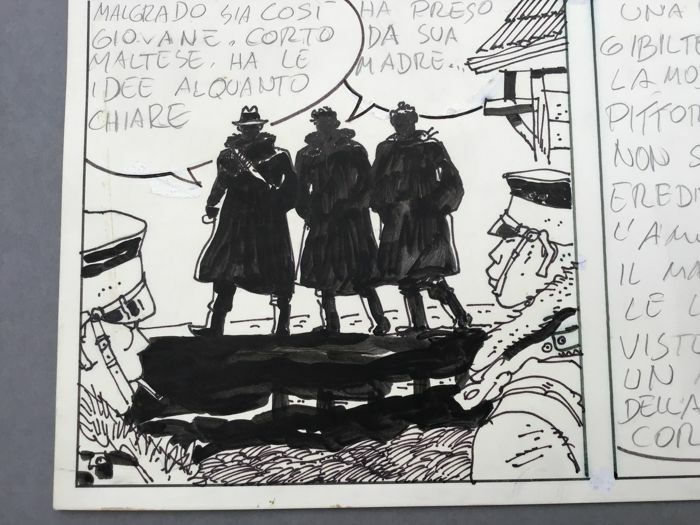 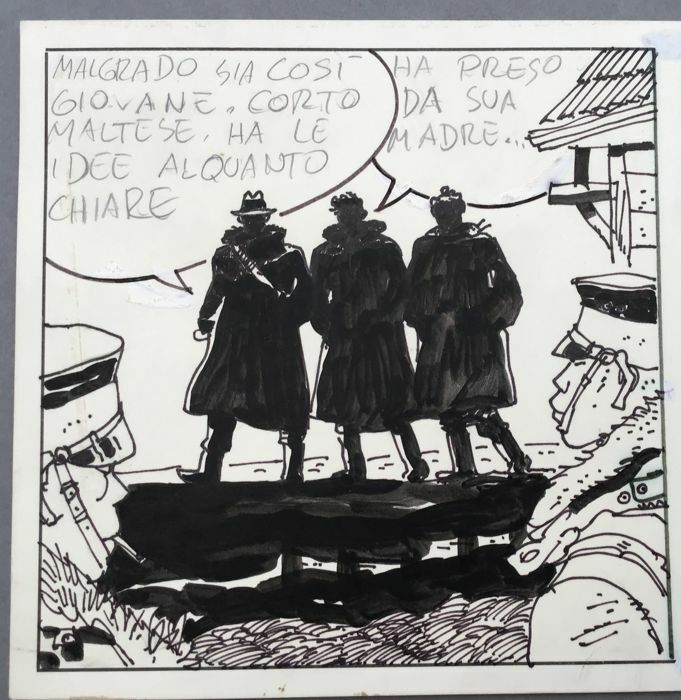 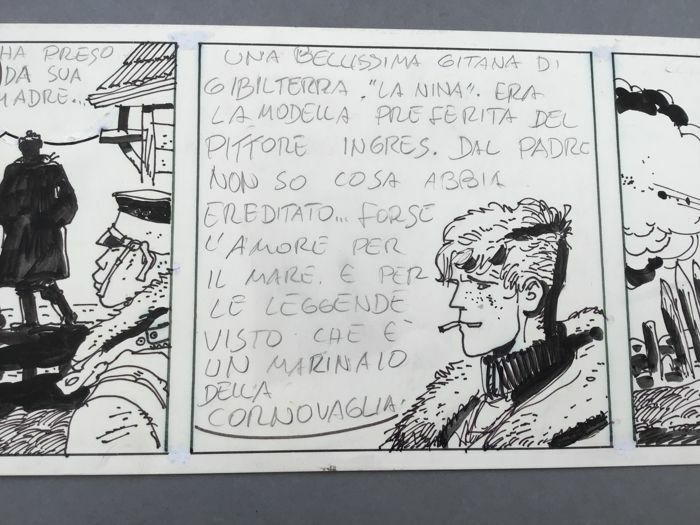 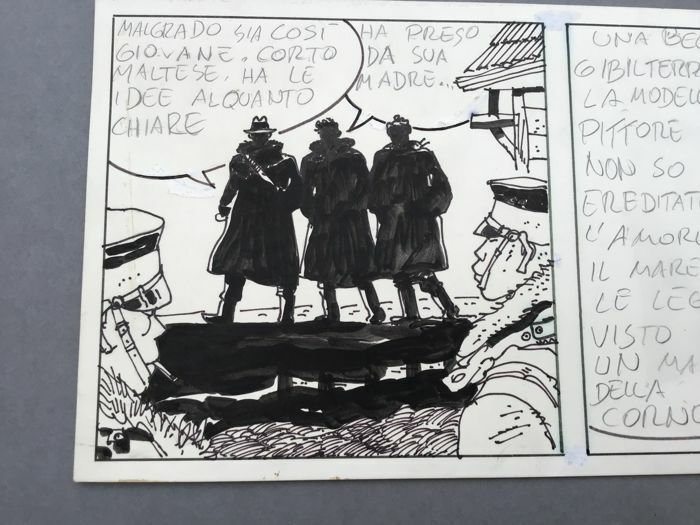 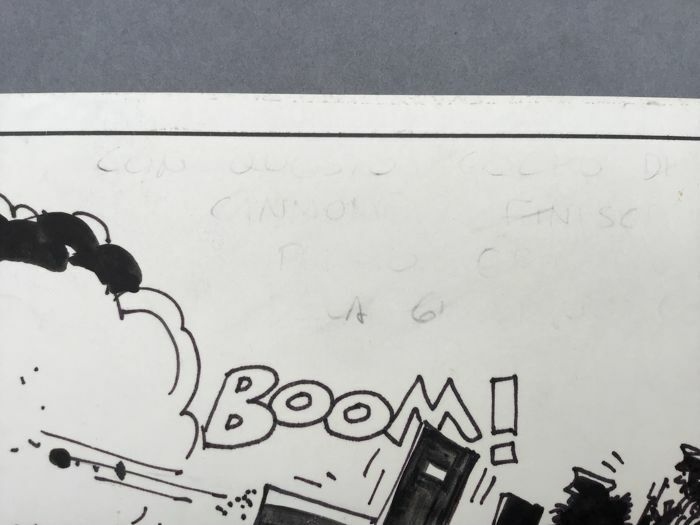 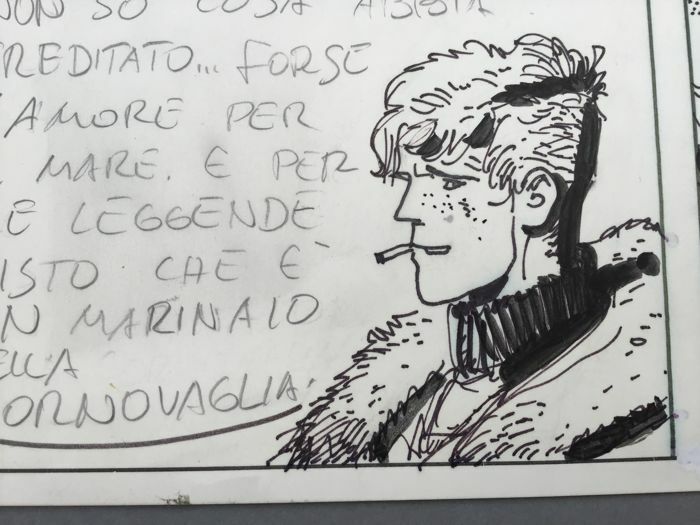 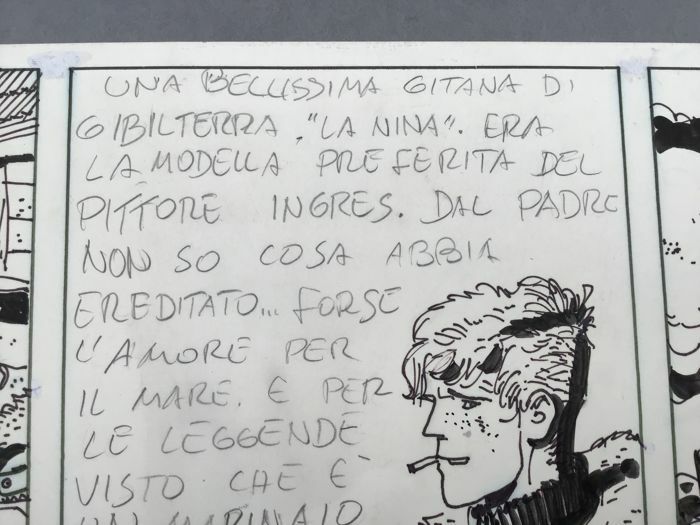 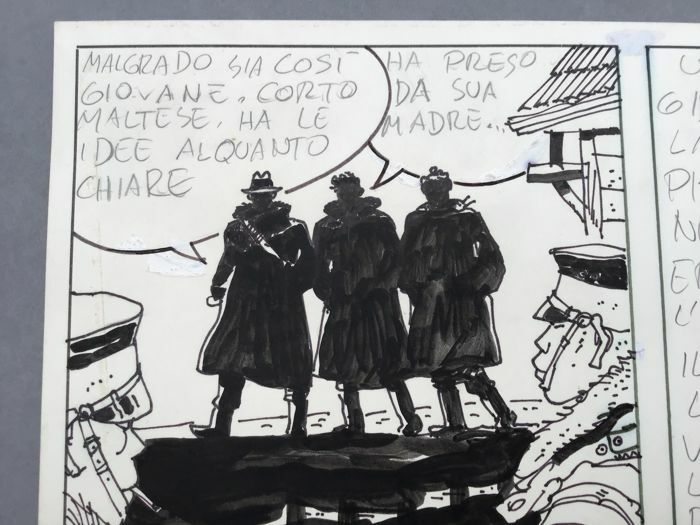 Large format Strip, original texts in Italian with Pratt's original handwriting in unmixed pencil, which is a "little Miracle", since this strip has been published several times in French with various illustrations (see illustration of the details of the successive publications). 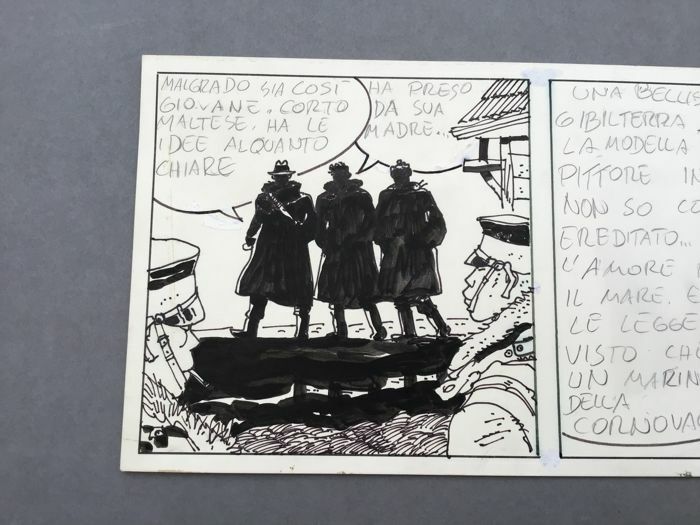 This very decorative lot is very attractive for an Italian or French collector. 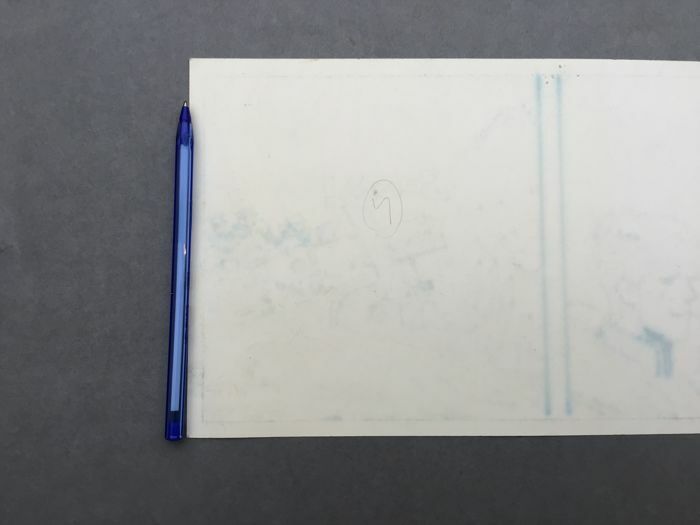 It will be impressive with a nice frame that will enhance the prestige of a large collection. 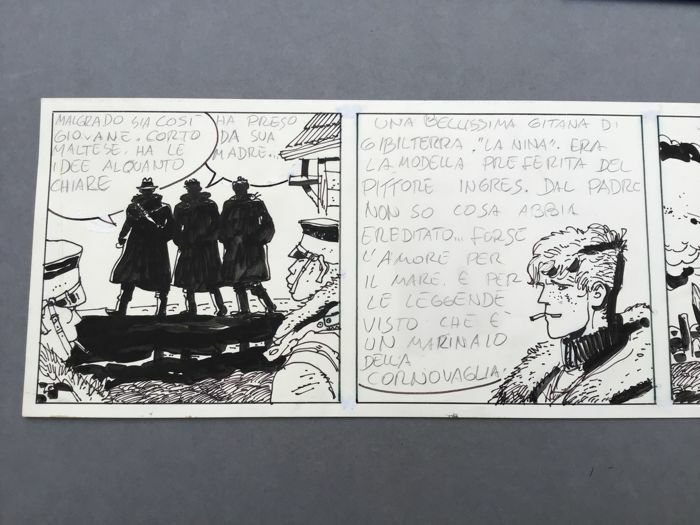 Guaranteed 100% authentic by Bernard Soetens, international expert e Hergé and editor of the "Catalog Scriptura" from sale of comics and original drawings to the Luxembourg for more than 25 years, this remarkable Strip of Hugo Pratt is an opportunity to enhance r a collection of original designs of high quality.